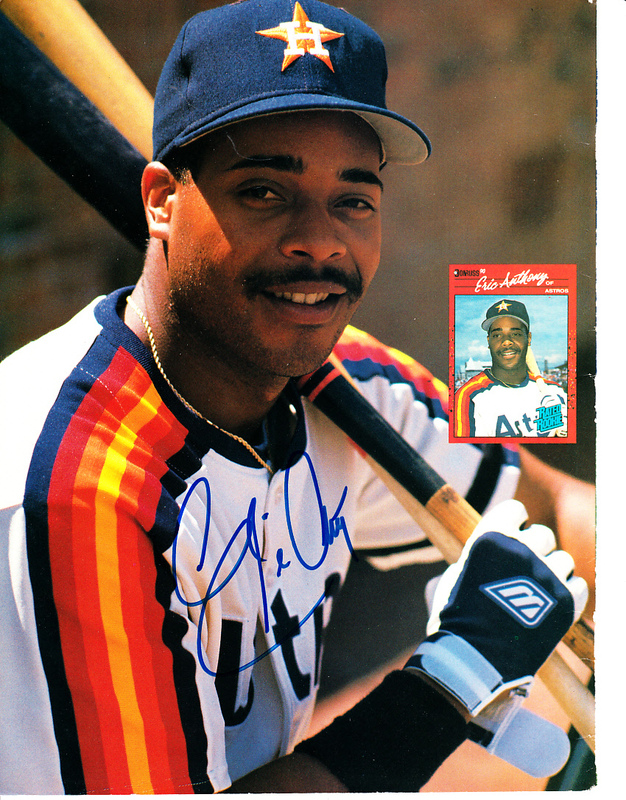 Beckett Baseball magazine back cover photo autographed in blue marker by former Houston Astros phenom Eric Anthony. With certificate of authenticity from AutographsForSale.com. ONLY ONE AVAILABLE FOR SALE.